So often leadership is disappointed with front-line employees’ lack of above & beyond efforts and actions. Employers don’t understand why employees do not capitalize on “low hanging fruit,” when great opportunities present themselves to “wow” the customer. The key reason? Your employees are scared! This is the number one reason, and I have yet to meet an executive/leader who was not in denial about their team’s lack of confidence in going above & beyond for their customers without fear of getting in trouble. I don’t care how many stories you tell, how many times you stand up and preach that there are no limitations on what your employees can do. I guarantee a higher percentage of your employees are hesitant, reluctant, even scared they could get in trouble — maybe for going against a policy. Do you have any fear at all that you could get in trouble (by management) for going above & beyond for a customer? I am willing to bet you will be surprised by the actual percentage of those who are. Now, how to fix it? How to make your employees fearless? Service Aptitude- Employees are not trained on what above & beyond really looks like and how to anticipate their customers’ needs and empathize with them and their situation. Prime their minds- Companies need to create constant awareness of the type of above & beyond culture they want. World-Class customer experience organizations do this daily, yes daily, through numerous vehicles, story telling, collecting above & beyond stories, and re-advertising them back to the employees through pre-shift huddles, internalcompany newsletters, and above & beyond quarterly and annual recognitions. Remove the word “policy”– Companies preach that their employees need to be heroes for their customers, yet they always remind them of “policy.” Then employees use policy as a crutch and hide behind itwhen a customer complains, which further upsets your customer. 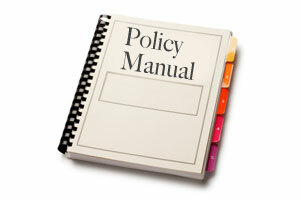 “Policy” is an outdated word that needs to be removed from any customer service company. Replace it with guidelines. Guidelines are there to help employees navigate, but are not black & white, and employees need to know that when circumstances call for it. They then can make exceptions. and they did the impossible. Comments Off on Are your employees fearless?